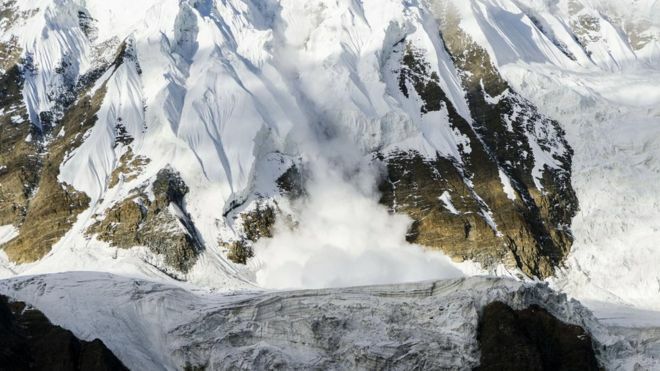 Nine climbers died when a violent snowstorm destroyed their camp on a Himalayan peak in western Nepal. The freak accident scattered the bodies as far as 500m (1,640ft) away. Local media report that experienced climber Kim Chang-ho, the first South Korean to reach the summits of the world’s 14 highest mountains without using supplemental oxygen, is among the dead. “The camp was completely destroyed,” the BBC heard from Myagdi district official Liladhar Adhikari. “It is not clear what went wrong. The climbers – led by Kim – had been waiting for a window of good weather so they could reach the summit, when the storm hit Friday. Only 30 people have successfully climbed to its peak compared with more than 8,000 people who have reached the summit of the world’s highest mountain, Everest.